Given my investment banking experience in NY, I have worked on cross-border m&a, LBO, equity, and debt financing transactions. 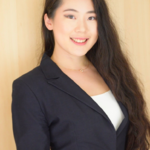 Currently pursuing a master in finance, I am...Read moreGiven my investment banking experience in NY, I have worked on cross-border m&a, LBO, equity, and debt financing transactions. Currently pursuing a master in finance, I am on track to the investment related space based on my prevalent buy-side deal experience. Linda executed perfectly! Over-delivered and finished early - confirmation of her professional set of talents and skills. Linda is experienced in many aspects of investment banking and offers exponential value to companies seeking assistance in the preparation of business models and pitch decks to obtain capital investment. Linda is knowledgeable and professional. Linda has been an absolute star from the beginning through out. Her level of intelligence and experience has been of tremendous help. The level of attention she has given me has been absolutely amazing and I really couldn't have wished for more. Will definitely love to work with her again in the near future.